A condo seems like a great option when you don’t want the headaches of dealing with yardwork, exterior maintenance, and other things that come with owning a single-family home. 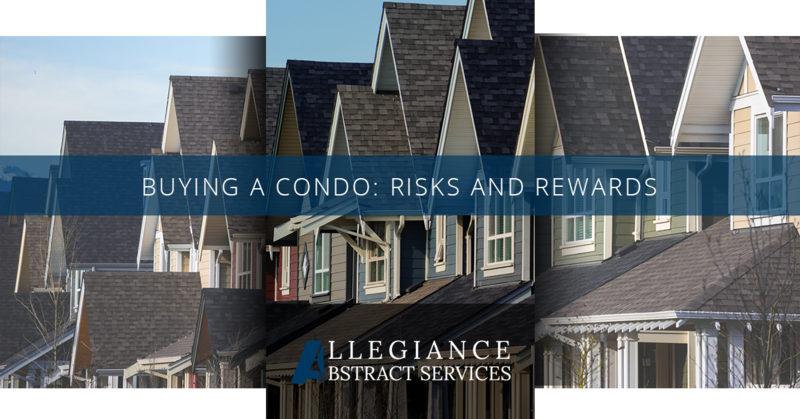 But, condominiums come with their own set of risks. And, you should know what they are before you make your final decision. If you are considering buying a condominium as an investment, you’ve got even more things to think about. 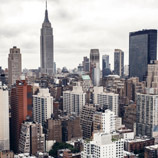 We’re covering some of the high points in this article, but to be sure you are covered, give us a call and let us know where the New York condo you are considering buying is located. We can help make sure you’re making a good deal. If you are looking at a condominium in a complex that is mostly occupied by renters, you may have trouble getting a really good loan. 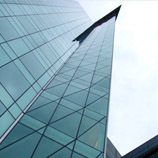 Many lenders have owner-occupancy requirements. And some also restrict the number of units in one building that can be owned by one person or company. Another tricky situation occurs if you’re trying to buy a brand new unit. Some lenders won’t even talk to you about a loan until a majority of units are sold. This doesn’t mean that they all have to be completed and occupied, just sold. If you want to get a loan from Fannie Mae, Freddie Mac, the FHA, or VA, they’ll likely require that construction is 100 percent complete. Some associations are well-run and fees are reasonable. But, we’ve heard some horror stories about poorly managed associations. A good rule of thumb is to make sure that your association has about 25 percent of gross annual income in reserve for emergencies. Talk to other owners who reside in the building, ask to see board meeting minutes, and interview members of the association’s board to make sure you’re not getting yourself into a pickle. This is another thing to check out while you’re researching the homeowners association. Many condominium complexes have problems with construction quality. Whether it is a faulty roof, water seeping in through the foundation, or rotting window sills, if the building needs serious repairs, each owner will be assessed a fee determined by the association. As an owner, you are legally obligated to pay an assessment. If you refuse, you may find a lien slapped on your property faster than you thought possible. Always, with no exceptions, do your due diligence so that you know about any assessments, tax liens, foreclosed units, and anything else that could impact your ability to sell your unit or make a profit on your investment. You may not really be a condo person. Just because you don’t like yard work, that doesn’t mean a condo is the right choice for you. You’ll be sharing walls with other people above, below, and on either side of you. In those close quarters, it is virtually impossible to completely avoid hearing each other’s arguments, smelling other people’s food cooking, and dealing with the occasional drunk or unruly occupant. If, on the other hand, you’re more than willing to overlook those things in exchange for amenities like an onsite gym, pool, storage units, and underground parking, a condo might be a great choice. If you’ve decided you are a condo type of person, don’t forget to check out the entire facility. Don’t stop with your unit. Check out every aspect of your building. And, if there are multiple buildings, visit each one. If your building is a bit outdated, but two others are modern and updated, that might be a red flag. Make sure to ask if you’ll be expected to pitch in via an assessment when it comes time to update your building. If you need advice, or help with title insurance, please give us a call. We are located in New York City, and we’re here to help make sure that all of your bases are covered.